DBHIDS | Geoffrey Neimark, M.D. 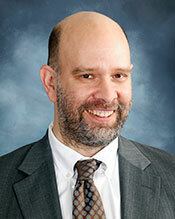 Dr. Geoffrey Neimark is Board-Certified Psychiatrist. Dr Neimark received his undergraduate degree in Anthropology from Haverford College and his Medical Degree from the Downstate Medical Center where he was elected to Alpha Omega Alpha. He completed his residency in General Psychiatry at the University of Pennsylvania where he was Chief Resident. After completing residency, Dr. Neimark also completed academic training in adult Psychoanalysis at the Psychoanalytic Center of Philadelphia. Dr. Neimark has worked in multiple locations including, inpatient and emergency settings. He supervises Psychiatry residents and is a Clinical Assistant Professor of Psychiatry at the Perelman School of Medicine. He also serves as a voluntary faculty member at the Drexel University School of Medicine.